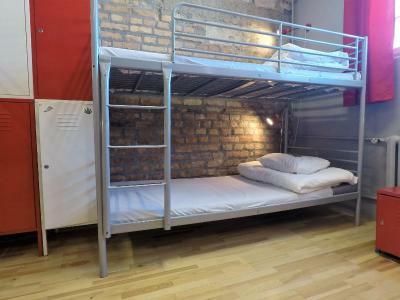 Lock in a great price for New World St. Hostel – rated 8.3 by recent guests! I stayed in a private room with a fairly comfortable queen sized bed and TV. Receptionists were not welcoming but still helpful. Very clean, include the toilets. Nice staff, good location, great location (1 minute to the stop). Quiet during the night. The location is perfect. A 15 minute walk puts you in the heart of the old town! Everything was fine. Staff was really nice and helpful. Bed was clean and comfortable. There was a locker for every guest. Also there was possibility to buy breakfast. I really enjoyed my stay! 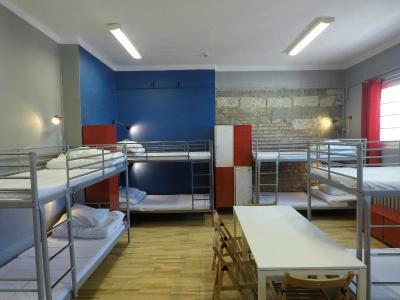 The hostel was excellent value for money- very reasonably priced for the great facilities. The free wifi was excellent and there were plenty of charging points dotted around the room. Each room had large lockers for valuables. The rooms and bathrooms were very clean. One of the best things about it was the 24-hour reception desk, and the staff were lovely and friendly (even at 5am!!). As a solo female traveller, I felt very safe and welcome. 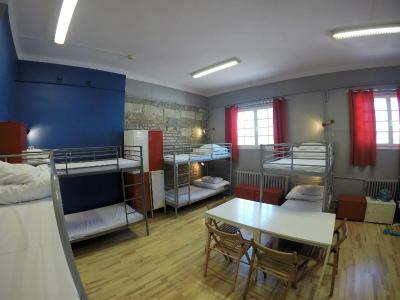 The location of the hostel is also excellent- just a short walk from the centre and the Old Town. One of our best sellers in Warsaw! 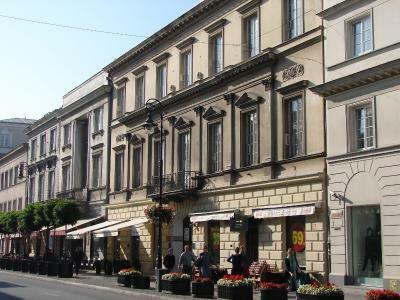 New World St. Hostel is located on the main shopping street in Warsaw, Nowy Świat. It offers colorful rooms with shared facilities. WiFi is free on site. Some rooms at the New World St. Hostel come with satellite TV. Most offer views of central Warsaw. Access to ironing facilities, maps, a washing machine and hairdryers is included in the price. 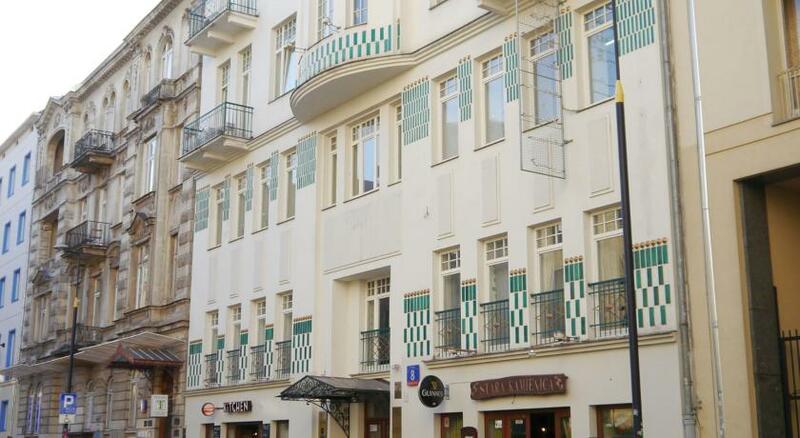 The hostel is located just 15 minutes’ walk from the Old Town. The Warsaw Central Station is 2,950 feet away. 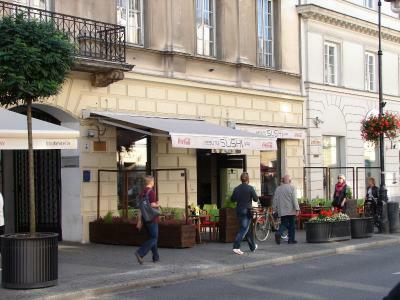 The property is surrounded by many cafés and restaurants of the Nowy Świat Street. Guests of the New World St. Hostel have access to a common room, featuring a kitchenette and a plasma TV with satellite channels. The front desk is open 24 hours a day. When would you like to stay at New World St. Hostel? House Rules New World St. Hostel takes special requests – add in the next step! New World St. Hostel accepts these cards and reserves the right to temporarily hold an amount prior to arrival. It was pretty much a one star hotel in the real sense: totally lifeless .I booked this hostel cause I read that it was a good place to meet other travellers , but for my case, that was far from reality. in my private room, there was a small ceiling window which let the noise from outside easily in. There was only one bathroom for the entire hostel and the receptionists were not very welcoming ( still helpful ). The 12-bed room was not really safe. My phone was stolen when I left it charging. It's kinda like my fault too. I should have been more cautious. One more thing: when coming to the ladies' rooms, I saw a guy coming out of the ladies' room. This was not an appropriate as they have the men's rooms too. Just a little comment: I didn't have breakfast but I saw what you have for breakfast. If you expand tour breakfast at least to getting not only sweet that would be great and I would take them next time then! You should look for the hostel carefully as there is no big sign which you can see from the main road. It's very close to public transport, train station and the city centre which was very convenient for me as I didn't have to spend money on tickets. As for living conditions, the room was always clean as well as all the washrooms and the common area. The view from the window was nice. I was impressed by the idea of collecting the foreign bills right near the front desk. The were lots of brochures which gave me the idea of taking a free tour as I was on budget. Thank you to the hostel for providing a free laptop use! The most significant advantage was the staff. Everyone one of them was willing to help and answered all of the questions I've asked (there were lots of them). I'd like to say special thanks to Agnes (I'm sorry if the name of the receptionist helping me is incorrect here). She was the one trying to help me find out the circumstances of the theft. She even let me use the phone for an internstional call as I got no phone after that. I needed to call the bank for the thieves not to get my bank account details. I'm also gratedul to Anastasia for letting me make one more call the day after. Thanks to Carolina who was guiding me around the local area when I couldn't use the laptop for guests as it was busy. Apart from that, Carolina and Iryna were opening the doors to everyone walking in, not only to new guests. I appreciate them tsking care of guests. It was a really nice feeling to have someone meeting you when coming back to the hostel. And the last but not the least - Inna. I liked her confidence when interacting with guests. Moreover, I really loved the level of her English. Though, every one of the staff can speak English which is very important for foreign visitors. ZEBY OBSRAC TEN HOSTEL !!!! Everything was very clean, except my sheets. I've found a few hairs on my pillow. Very comfortable bed, very clean bathroom and showers. I came 3 hours earlier than official check in time, but the girl at the front desk said that my bed was ready. Breakfast was okay, but a bit small. The other people in the sleeping room were disgusting. The bathroom and shower. 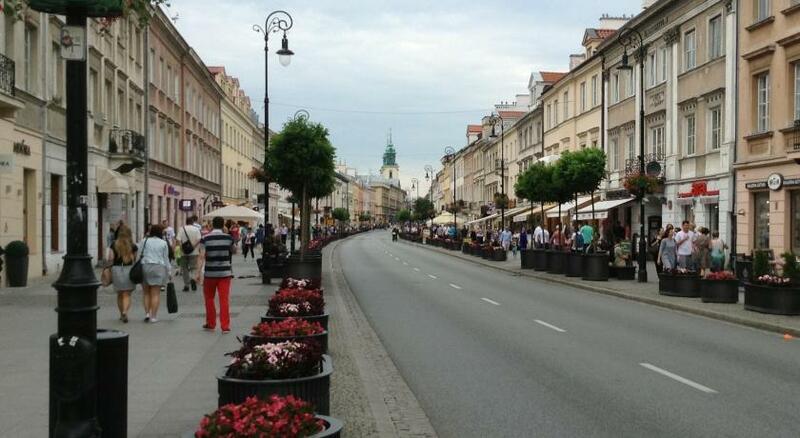 It's located very close to the Centrum of Warsaw. That was very good. Easily reached by foot. The staff was also very nice and polite. I enjoyed that the bed was ready when I came, so I didn't had to put covers on it by myself.